Link building is the secret to creating a web presence for your company. So your clients don’t have trust issues, it’s important to have credibility on the internet in 2018. Your SEO game plan should include high quality link building, which will increase the visibility of your brand and ensure that your clientele is engaging with your content! From SEO solutions to general tool sets, there are many tricks of the link building trade to utilize. When writers and bloggers get a hold of your links, you’re bound to rank higher in the results, especially if those hyperlinks are from established sources. How Do I Start Link Building? The process of getting other websites to link back your own has many key components. In 2017, backlinks were one of important indications of ranking to Google. Although it doesn’t take immediate effect overnight, the long term gains are transformative. To get started, it’s essential to take these steps. Set goals and identify your assets. How many links do you want to build? Are you going to focus more on your content, data, products, or services? Decide what type of links you need. Are they links to your home page, or links to your product or category pages? 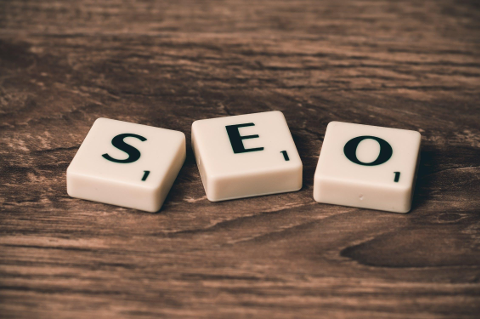 Don’t underestimate the power of SEO tools! They will help you manage and organize your link building projects in ample time. Which SEO Tools Should I Use? SEMrush is a research tool that finds popular keywords in your industry and analyzes the average worth of a particular click, while also offering up related keywords and phrases to consider. It also discovers new competitors and observes position changes of domains. The Screaming Frog SEO Spider is a website crawler that allows you to find broken links, analyze page titles and meta description lengths and duplications, generate site maps, and integrate with Google Analytics. Followerwonk allows you to explore your social influencers and connect with potential link builders. You can search twitter bios, break down your followers, and compare accounts to find the best matches. Link Alerts will help you monitor your backlink profile, links progress, and send notifications about new links that have appeared. Remember to read reviews and compare tools head on so you can be sure you are choosing the SEO tools that are right for you. Reviews sites, such as TrustRadius, will help you do this. How Do I identify My Target Audience? To start, ask yourself who is most interested in the subjects of your links. What type of bloggers or websites are closely related? Create a list of URLs that are relevant to your content and find their contact details. Use ToutApp to find email addresses on a page. Look through their social networks like Twitter, and browse the types of links they’ve shared recently. Have they shared external resources? Are they associated with a particularly strong domain? Ultimately, the higher quality your content is, the more likely your links are going to be shared. Outreach to your target linkers is just the segue into your link campaign. Once you’ve outlined a plan for your link building, acquired the proper SEO tools and researched your target audience, you’re on the way to moving up the charts! The growth you’re looking for is well on its way, and so is your reputation on Google. Kelsey Taylor is a creative writer and lover of all things digital media. She's a poet, educator, and regular contributor to TrustRadius where she continues to write about software and tips for B2B companies. This entry was posted on Thursday, April 5th, 2018 at 11:13 pm and modified by WebMaster View on Saturday, March 30th, 2019 at 3:32 am. You can follow any responses to this entry through the RSS 2.0 feed. You can leave a response, or trackback from your own site.